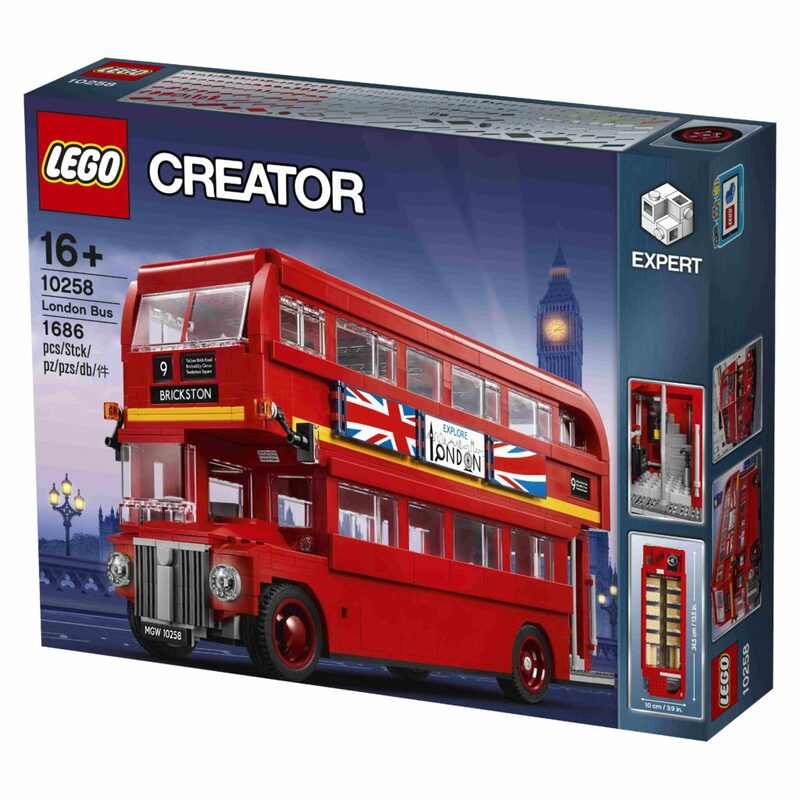 LEGO has officially announced the next LEGO Creator Expert D2C (Direct 2 Consumer) Exclusive – 10258: London Bus. 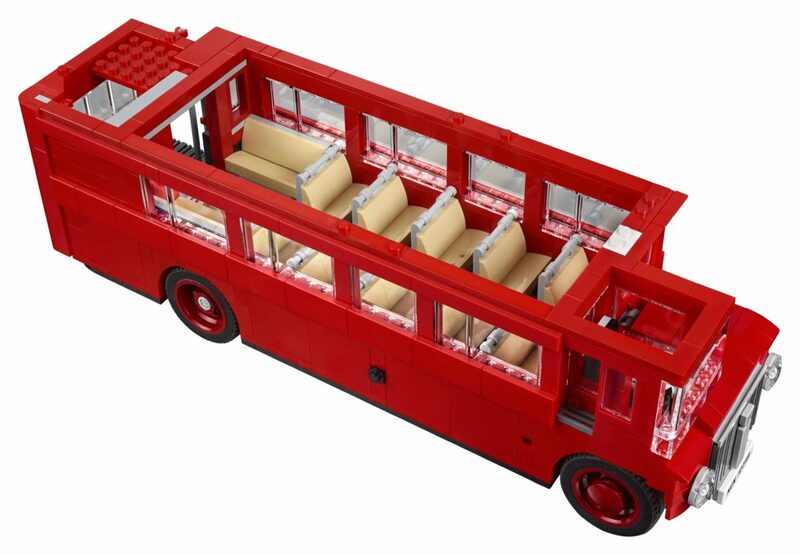 This set will be unveiled physically at five LEGO Brand Retail Stores in the London area on July 1, with VIP Early Access from July 17, and a full launch date set for August 1st, 2017. 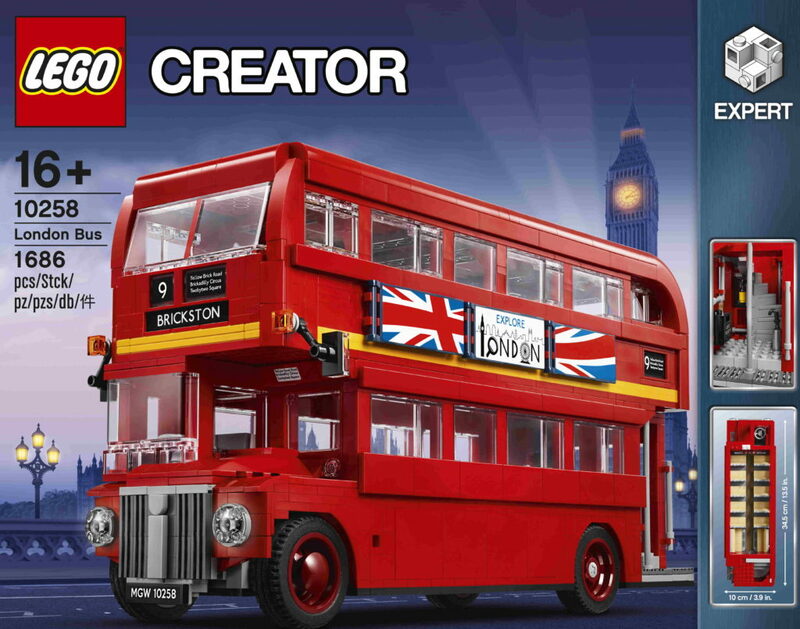 From the launch date, it will be exclusively available in the five LEGO Brand Retail Stores in London. We’re not sure what stores these are, but I’ll edit this post when I know. 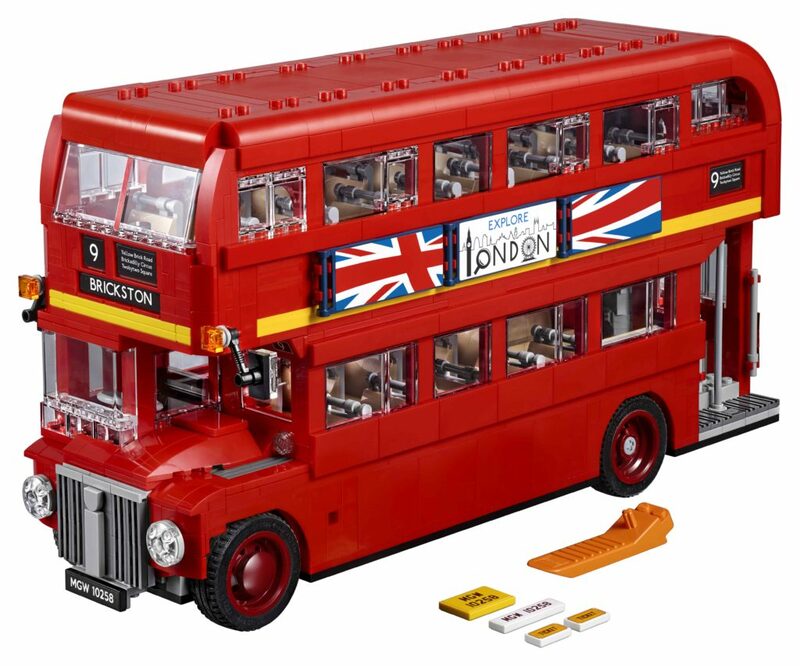 This set will include over 1,680 elements, is 18cm high, 34 cm long and 13 cm wide. 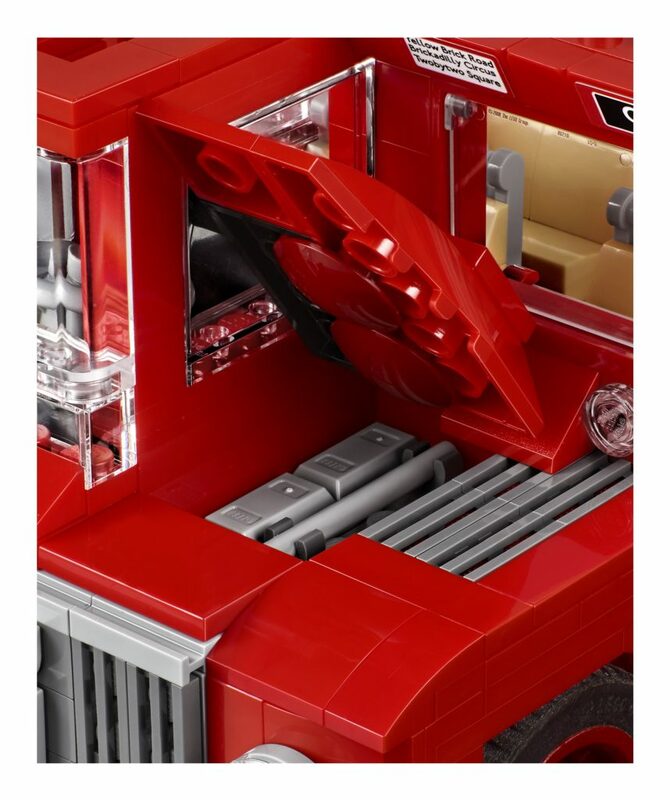 It includes some neat interactive functions including an opening bonnet (hood) with engine, driver’s cab with sliding door, and a removable roof and upper deck. 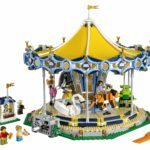 Oddly, there’s no details on price included in the press release, but according to some sources online, it could be US $119.99. 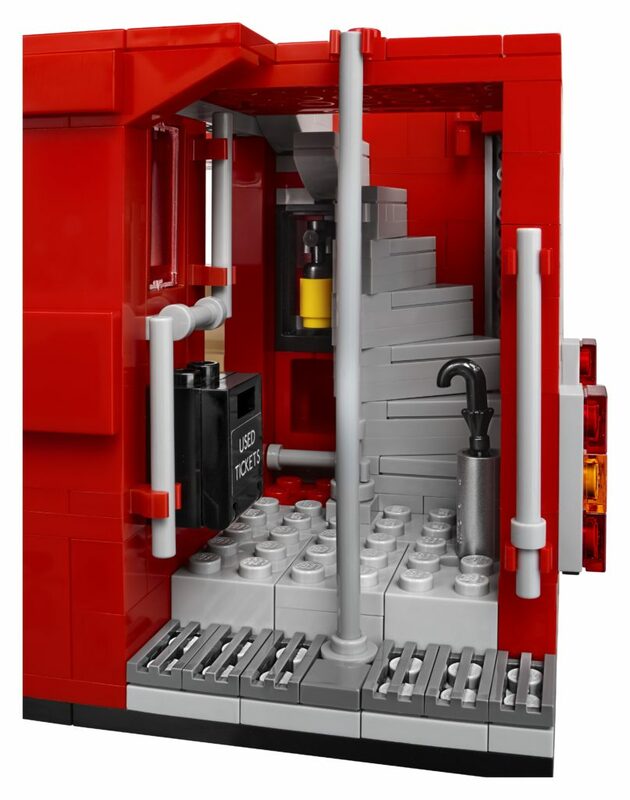 EDIT: The set is now up on Shop@Home for AU $199.99. 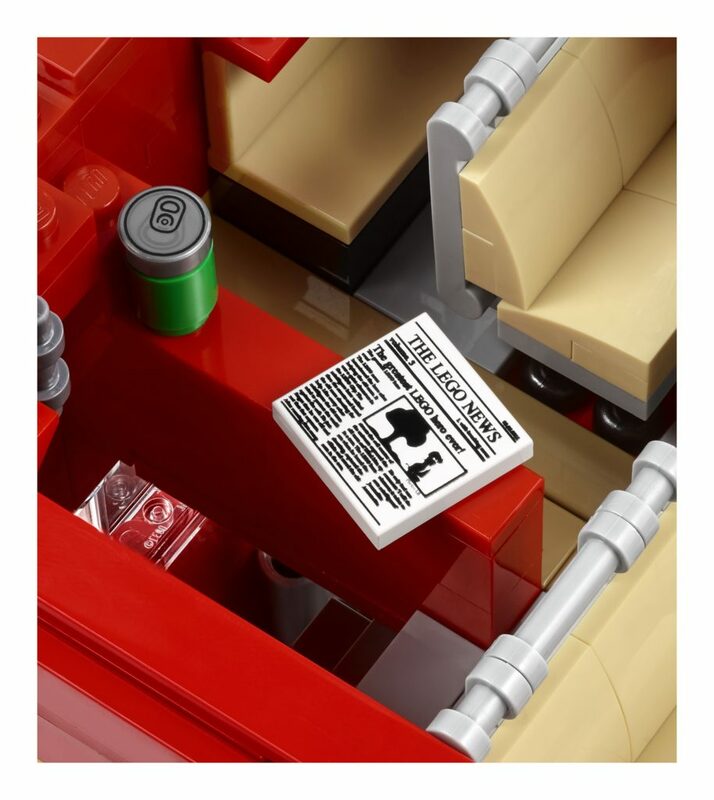 There’s small details like advertising from both the 1950s and present day, and even some used chewing gum under a seat! Just don’t stick your fingers under there…gross. 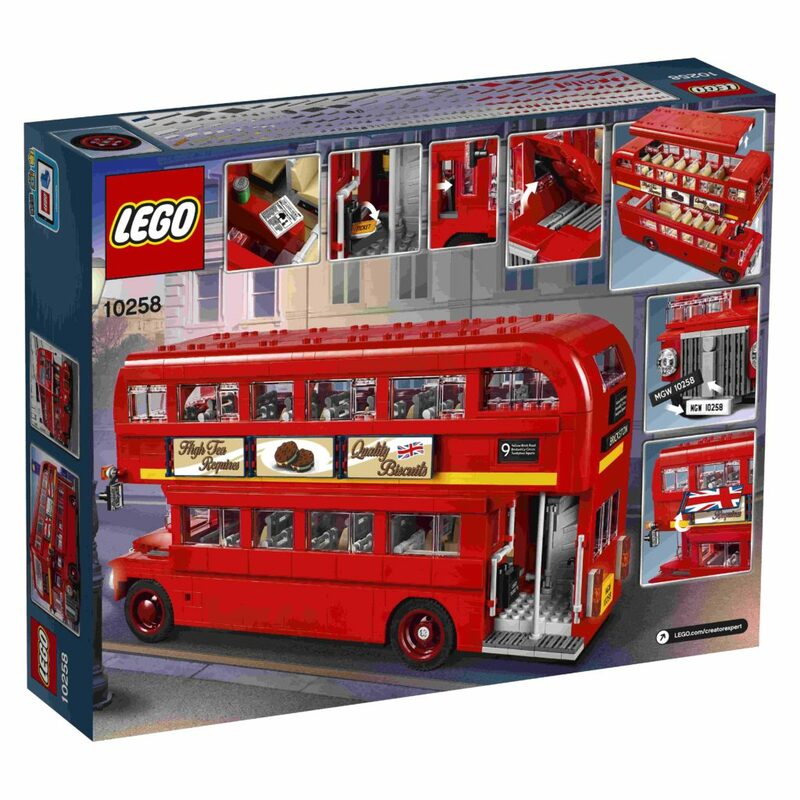 I like the overall shape of the bus – it certainly looks like the real thing, and the interior looks great, but there are a large amount of stickers – I counted 25 stickers. 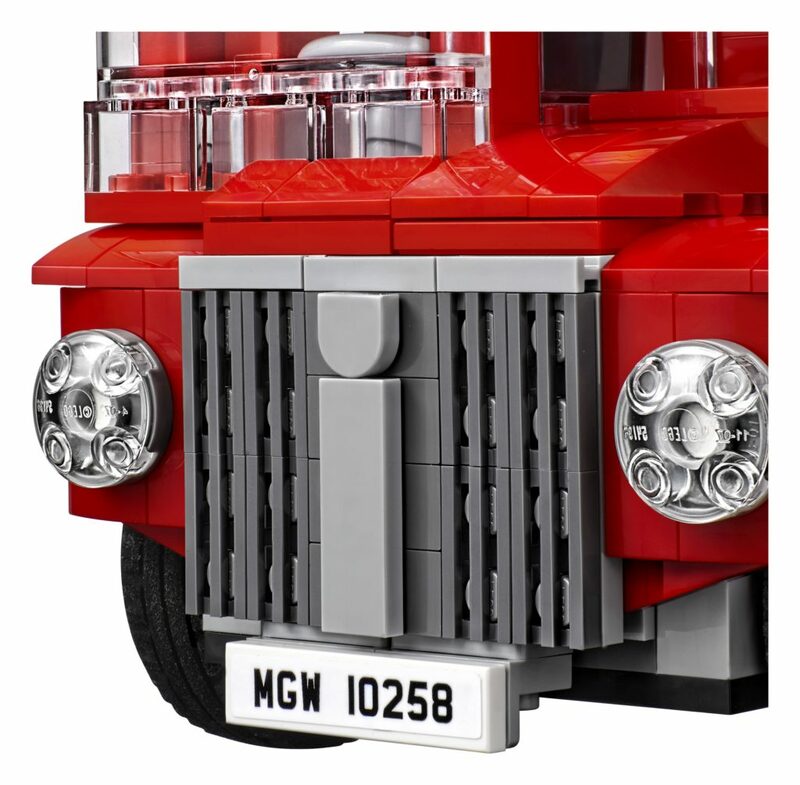 I’m not the biggest fan of stickers, and this is considered a special set, given the release structure, so I don’t see why there can’t be printed elements. 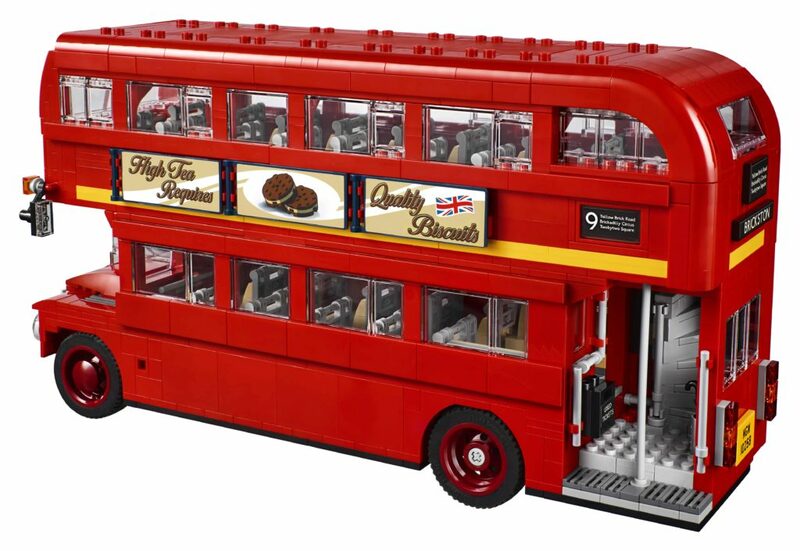 I do like the brick versions of destinations – that’s clever. 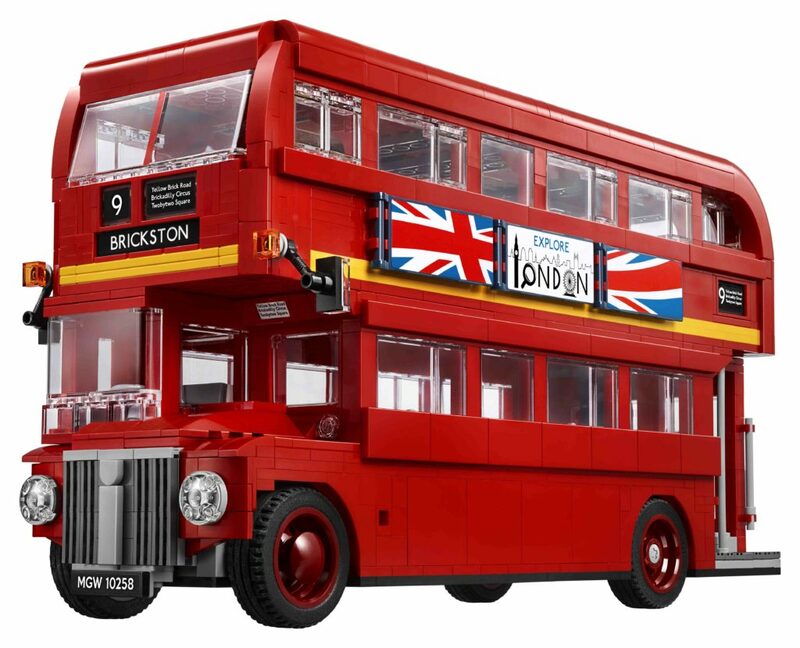 There’s the main destination, Brickston, as well as the rest of the route including Yellow Brick Road, Brickadilly Circus and Twobytwo Square. 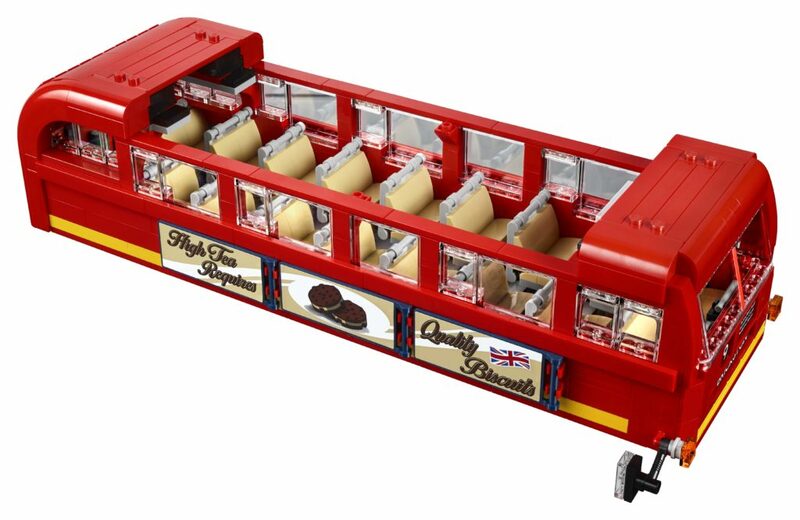 There are also some new elements included, such as a tyre, quarter bows and arches in red, and new SNOT bricks with two vertical studs, and the video highlights some “special elements”, two of which have been seen already, but they’re not in many sets. 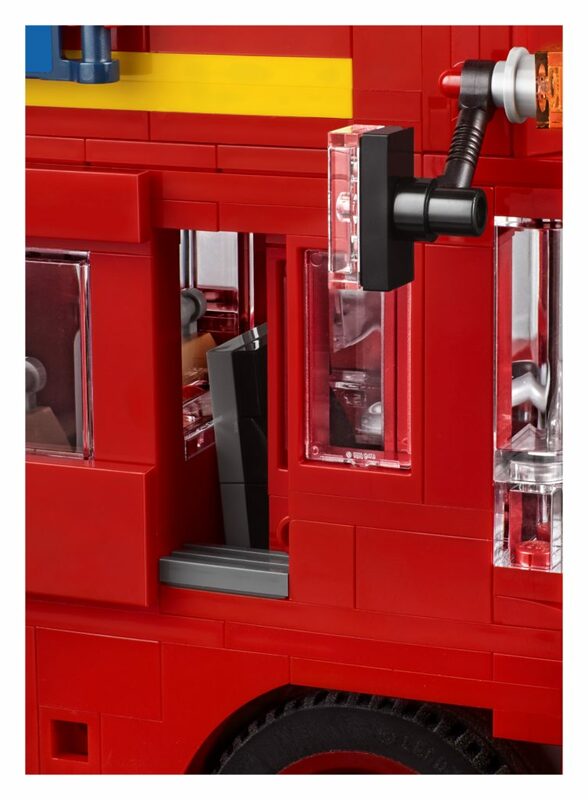 The umbrella has been seen in two other LEGO Batman Movie sets, and the printed can top has been seen in around 9 sets already. 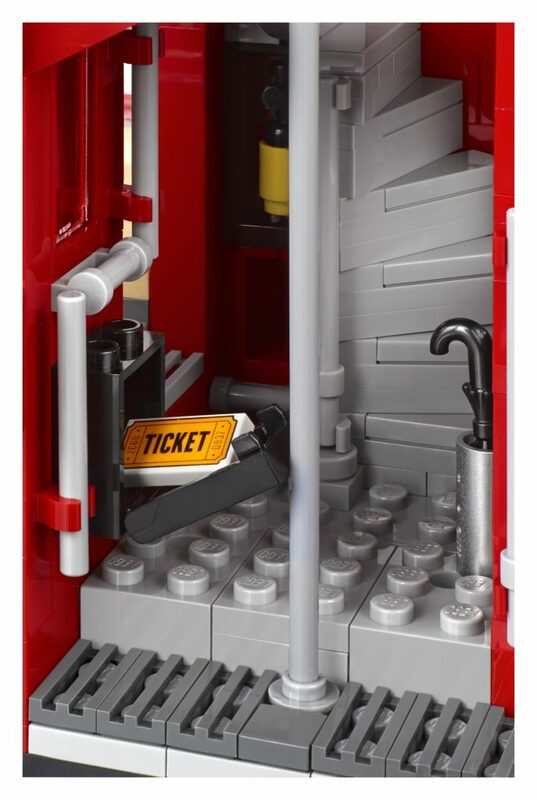 I’m also not sure about the “worn look” seating. They don’t look all that worn to me, although I’m not sure how they could have done that without stickers or printing. The designer video (interestingly without the nice title sequence) and press release are available below, as well as some more images. 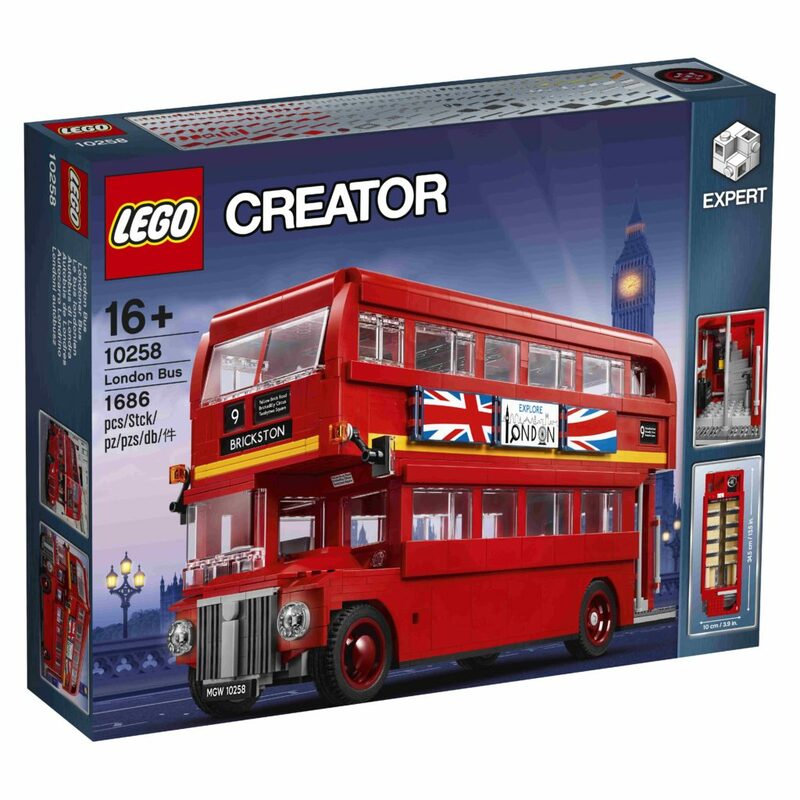 What do you think of 10258: London Bus? Is it enough to get you to add it to the list? I’m honestly not quite as excited as I thought I’d be. 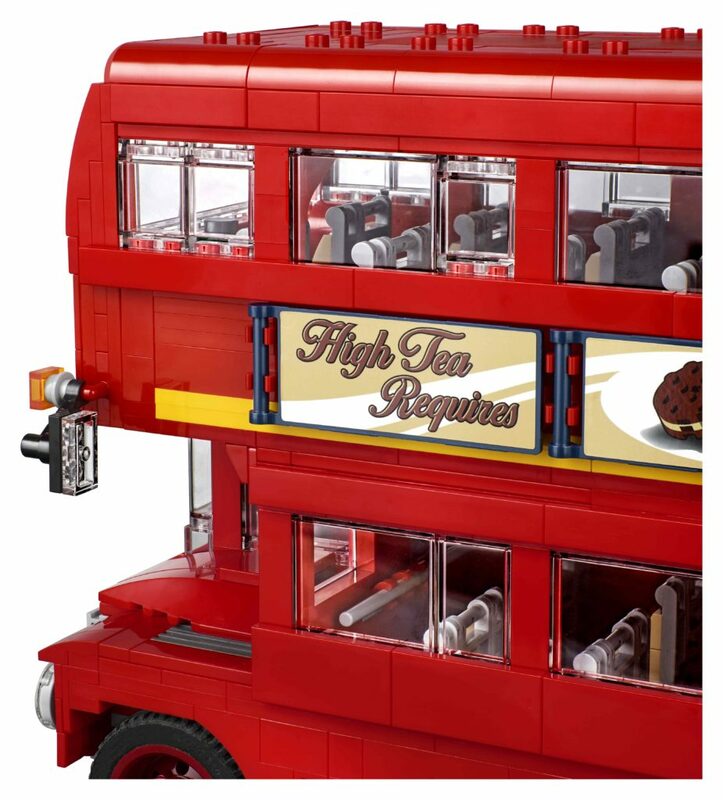 It’s a hard act to follow after monster sets like Ninjago City, but I’m sure this set will appeal to many!